Disclaimer: I received a 10-pack Tourpass through my Rock ‘n’ Blog ambassadorship. I paid for my race since I was already registered before I became an official Rock N Blogger 2018. I did however use my ambassadorship to experience the VIP perks. As always, all thoughts & opinions are my own. Last Saturday, I trekked down to the Nation’s capital to run 13.1 miles. If you haven’t already, do check out why I was so excited to race on the Rock ‘N’ Roll blog. Long story short, it was my first race as an official Rock ‘N’ Blogger and this weekend also marked my 3 year run-niversary. Ain’t that enough reasons to make it special? I didn’t talk much about it on the blog, but my training from December went really well until February decided to show up. The month was a blur (#life). I did miss out on two of my last long runs before taper time. But, after a fantastic 10-miler braving extreme temperatures in early February, I felt confident about tackling the distance. I tapered right and felt great the last two weeks prior to race day. My mind said, "Go be a badass today". My body said, "Okay!". This face just ran 10 miles in snow, rain and sleet and still is all smiley! I was just telling my roomie this morning that after these 2 half-marathons in March, I should do more short distance running. Who was I kidding?!?!?! I took a train down to DC right after work on Friday. I was nervous and excited, all at once. But, once I made my way to the DC Armory for the expo, the excitement really kicked in. I didn’t care about the training going south, or have any doubts about finishing 13.1 miles. I knew I would finish it with a smile on my face. Three years back, running that 5k was such a struggle and look at me today!! The expo was grand to say the least. I grabbed my bib and shirt and bought myself a commemorative pint glass. It was my first time at such a large expo. So, I was in awe of all the lovely touches out there for runners. The expo had a board up with the names of all the registered runners. To see my name among 15,000 runners felt so unifying regardless of our abilities. At the exit of the expo, they had tracking mats that tracked your bib in your swag bag and displayed personalized wishes for the race. So cool!!! The sheer excitement and energy at the expo pumped me up for race day! That face definitely looked like it was ready for 13.1 miles! The highlight of the expo was meeting Bart Yasso. I was so nervous to go up and talk to him. I mean what do you talk to one of the few people to have raced in all seven continents! I was such a nerd and went up to him telling him that I was a huge fan. He was super warm and friendly and chatted with me about his 100-mile race in India, a couple of years back. I was inspired! He reminisced on his early morning training days at Darjeeling Tea Farms whilst checking out the beautiful sunrises. I was shy, but wanted a picture with him. I did tell him how short my hands were for selfies (#facepalm). So, this one was taken by him. Let’s just say we’re best friends on social media now!!! After a long day, I was ready to head out of the expo and head to my friend’s place. Tip: Having a friend who lives about half a mile from race start is a huge blessings in disguise. After some delicious pasta, I was in bed by 10 pm. DC looked beautiful in the evening. I was ready to run here in 12 hours. I woke up after a good 8 hours of sleep (which hadn’t happened in weeks). The morning was so relaxing and I felt I had sufficient time to get to the VIP experience (keep reading along for more on that). Such a crisp morning to run around DC! Blue Mile – This was THE toughest mile of the course with a 200 ft. elevation. But, it was a poignant path with photos of fallen members of the military regime. Just glancing by them and reading about young men and women who passed on at a young age gave me so much gratitude for being alive today and on my feet. Stranger Chats – When I began to ride the pain train (~10 mile), a women came up to me and said how awe she was by me with my perfect pacing from mile 1. At the end of the race (~12.5 mile), she and her friends came up and mentioned how they had been following me since mile 1 and were keeping me as a focus while they ran. It really touched me that someone looked up to me, in a similar fashion as I did to so many others. Yesterday was a celebration of all kinds. It was my first @runrocknroll race ever at the Nation's capital. It was my first race as a Rock N Blogger. Plus, it marked my three year running anniversary to this very weekend when I first did @charmcityrun #shamrock5k in 2015. I'm so greatful for how much life has brought me in the past three years, to think that yesterday I ran my third half marathon!!! Something I never imagined I would say. Yesterday I rode the pain train the last 3 miles (#thankscalves). But, that's what makes it all special. If it were that easy, everyone would do it. To many more miles, hardwork and having fun in the years to come!!! As part of being a Rock ‘N’ Blogger, I decided to check out the VIP experience. I’ve heard that each of the race destinations has a different VIP experience. So, my thoughts below are solely from the DC event. Prior to the race, the Hard Rock Cafe hosted all the VIP runners with sumptuous breakfast. It was really relaxing to stay indoors for quite a bit, to calm my nerves. It was nice and warm as opposed to standing in the cold and wind outside. 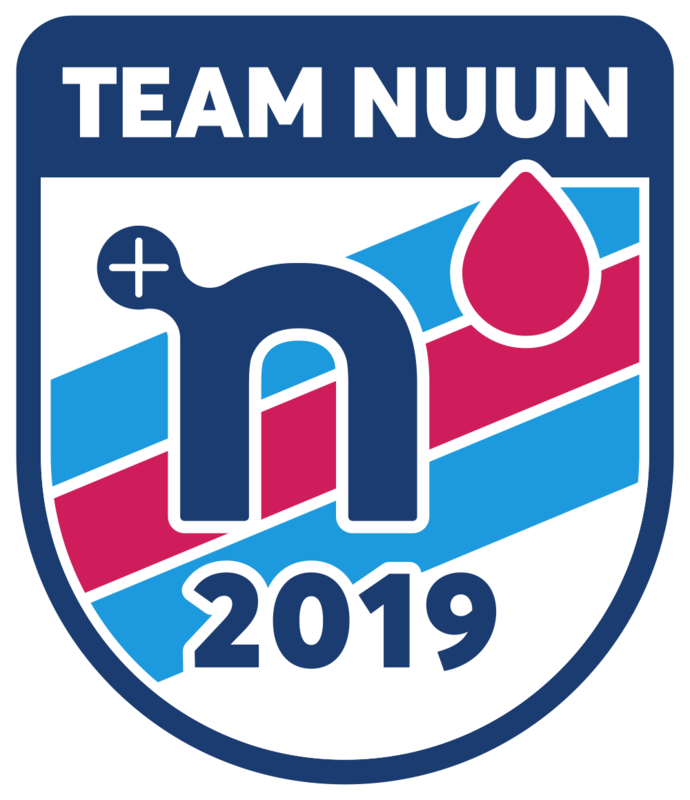 I did have my usual pre-race breakfast at home – 5 soaked overnight peeled almonds, a bowl of quaker oats and a banana, along with a huge glass of Nuun at home. So, I glanced at all the food at HRC and just grabbed half a cup of coffee. There’s never enough bananas for runners! There’s never enough carbs for runners! I also checked in a bag here, that was carried to the finish line for us. So neat! With 10 minutes to go, I chatted with Lauren (who is a racing pro and was so calm and collected) and we made our way to the start line just at the knick of time. Post race, there was a separate VIP tent. It felt like a good 10 minute walk from the finish line. But, I guess it was just my tired legs talking. There was a lot of recovery food (hot food!). I grabbed only a banana, pretzels with hummus and some hot coffee to keep me warm. I was REALLY looking forward to my free massage. Sadly, I reached late (#backofthepackrunnerproblems) and didn’t make the waitlist. I was a little bumped. But, rules are rules! The VIPs did have this nice perk of a free shuttle service that would take you back to the start start line. It made it so convenient for me, to not have to take an uber or the crowded metro. The shuttle dropped us off at HRC, and not the start line which was even closer to my friend’s home (Score!). The whole experience felt so neat. It was my first VIP experience and I couldn’t have been more impressed!! I would definitely recommend it as a nice gift for yourself or a friend for a special day. I was back in Baltimore the very same evening and grateful for racing this close to home. Overall, the Rock N Roll DC was such a nice and well organized event. It definitely was one of my smoothest race experience overall and I would highly recommend if you’re looking for 13.1 miles of running fun!! I am linking up with Hoho and Wendy for their weekly wrap and Courtney for her training recap. They have tons of talented bloggers who will definitely inspire you to go out and train for a race. Do check it out when you get a chance. Congratulations on a great race! VIP is such a fun experience at Rock ‘n’ Roll, and I’m so glad you had the chance to experience it! One of these days, I really do hope to do the half at DC! Despite the elevations, it does sound really amazing! Congrats on your race! We were Rock n Bloggers in the past and they do have a nice VIP experience(in Virginia Beach they did). What a nice perk! Congratulations on your race! I ran RNR DC in 2016 and 2017…when I ran it last year the hills seemed so much HARDER! But still you prevailed and earned that medal, great job! Bart Yasso seems so nice, I’d probably be too scared to talk to him! Will you be doing Rock ‘n Roll Philly this year? Yup. I thought I was from Baltimore, so I should be good with the hills. Turns out NOOO. Haha. Bart Yasso was really nice and warm!! I am not sure about RnR Philly yet. Will keep you posted. I am however doing Love Run Philly this weekend! Rock n Roll usually puts on a good race! I did my first one in Savannah last year and would definitely do them again. Not every race can be your best…I struggled through a half this past weekend too. Glad you toughed it out though! Congratulations on your first Rock n Roll race! I’ve never done one but they always sound fun. Some races can be very hard and tough to stay on it mentally. You did really well. And how fantastic to have the encouragement of the other runners saying you kept them going! Congrats on your race! That Blue Mile is brutal–but I felt that same gratitude you did when I ran it last year 🙂 Also, I LOVE your bib! Congrats on a great race! I think it was the best weather for that race that DC has had. VIP experience is always a huge plus! Congrats on doing so well despite imperfect training and unexpected hills! I met Bart at the RW Half this year – he is SO nice! It sounds like the VIP experience was really nice. LOL on all the food. Congrats fellow Rock N Blogger! So happy that you were able to experience your first RnR race. They are a lot of fun. Do you think you’ll do any other RnR races this year? Bart Yasso is the coolest! He was at the Shamrock Marathon this weekend and he is always so joyous – I love it! I have wanted to do RnR DC for a while but the timing of the race never works! Glad you enjoyed it! When I ran RnR Chicago, there was a Blue Mile and it was very moving. Thanks for linking and congrats! Yup true. RnR DC is around Shamrock time. There’s so many spring races around it and it’s hard to schedule. Do let me know if you decide to do DC. Congrats on your race – I love the medal and the shirt! I ran the marathon back when it was the National Marathon, just before the Rock ‘N’ Roll series bought it. I got to meet Bart Yasso at an expo once and listen to his presentation (it was fantastic). He’s a really cool guy and so humble. Congrats! I’ve heard such great things about RnR DC! Looks like you had a great experience as well! Congrats on being a Rock N Blogger and getting to experience your first RnR race! It’s so cool that Bart Yasso took the selfie! You never know who you might inspire in a race even if you aren’t having the best day. Great job keeping your head in the game! Thanks for linking. Thanks Holly. Bart Yasso was definitely cool and so warm. It was my first RnR race and I did have a blast. Thanks for hosting the weekly wrap. I follow it every week, hoping to link in more often.